This antique postcard shows a country boy happily carving Jack-O-Lanterns out of the pumpkins that have grown, in traditional fashion, in the cornfield. 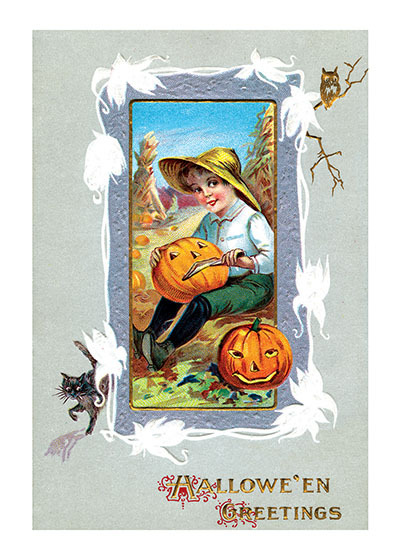 This antique postcard shows a country boy happily carving Jack-O-Lanterns out of the pumpkins that have grown, in traditional fashion, in the cornfield. It offers, Halloween Greetings.